So where is Mageia 6? There is no mystery about it, we are totally off schedule. The last preview we published for Mageia 6 was Stabilization Snapshot 1 in June 2016, and Stabilization Snapshot 2 still hasn’t been published, although we have been saying “soon” for weeks, or even months! So what’s going on? Is Mageia dead? Fortunately not. But it’s good that you worry about it because it shows you like your Linux distribution. We need to communicate about the state of things so that you can stop worrying, so here we are. For months we’ve been saying “the next ISO images will be published within a few weeks”… And that’s still how we see it… And actually lots of ISO images have been made, each one improving over the previous one, and Mageia 6 Stabilization Snapshot 2 will be very different from Stabilization Snapshot 1, because during all this time development has been going on, bugs have been fixed, packages have been updated, artwork has been integrated, etc. The good news is: Mageia 6 is really going to be good. And actually it already is, for all those who already run the packages from cauldron, the development branch. So why not release it now? Well, let’s try to give you some insight. After we released stabilization snapshot 1, we naturally went for the next one, although we knew that summer is usually family time for many contributors so that was likely to slow the release down a bit. Unfortunately, that was when one of our packagers, who was responsible for building the Live ISO images, but also worked as a sysadmin on our infrastructure and was of great help for debugging difficult kernel-related bugs, announced that he had to stop contributing for health reasons (he has come back since but had to lower his level of contributions). And we had not prepared ourselves for that so it took us time to get back on our feet. Fortunately, others stepped up to progressively fill this void, and we are now in good shape when it comes to ISO builders and the release team; they were responsible for Mageia 5.1, more on that later. Plasma 5 (successor of KDE 4) bugs, and there were many of them at the time because Plasma was still lacking maturity. A nasty family of bugs where the X server (responsible for the graphical display) would fail to start at boot, giving only a “Good luck” message to the users. Many tried to understand what was going on, without success (until we finally cracked the problem!). Also, we felt that our users had already been waiting too long for the new release (so what should we be saying now! ), so we decided that it would be nice to quickly build and release a Mageia 5.1 that would be Mageia 5 with all the updates that had been issued since its initial release. It would be possible to install it on newer hardware thanks to a newer kernel and drivers, and avoid the hassle of having to install loads of updates just after the installation. This was agreed upon at one condition: it should not delay Mageia 6 any further. That was when our servers chose to have severe hardware issues, and we were unable to build new ISO images (thus delaying the “build ISOs, have QA test them and report bugs, fix bugs, build new ISOs” process) for some time, and then other issues made it so that we could not build both Mageia 5.1 and Mageia 6 ISOs concurrently, as was initially planned. Remember: Mageia 5.1 was not supposed to delay Mageia 6. Well it did because of that. The making of Mageia 5.1, which we thought would be quick and easy, gave us more trouble than expected because of issues with the newer stable kernels (the same newer kernels that make it possible to install Mageia 5.1 on newer hardware). Finally, we released Mageia 5.1. Phewww. We lost an additional two months on Mageia 6’s schedule. Here we must clarify something: during the making of Mageia 5.1, only the ISO building team, some packagers, and the QA team were involved. The rest of the packagers, testers and developers still worked on Mageia 6, which got newer versions of Plasma – which allowed it to mature –, GNOME and other desktops, newer kernel, newer Xorg (which brought a nasty regression causing freezes when using Plasma or some other programs such as Chromium or VLC, but which we fortunately managed to help fix upstream in the Xorg project, and that benefited other distros affected by the same bug as well… That’s the free software spirit, we benefit from other peoples’ work, they benefit from ours), and many other newer things, fewer bugs too! The nasty “Good luck” bug was gone, the most annoying Plasma bugs were gone too (except one, still present these days, but we’re on it), several installer bugs were also gone. We also had the opportunity to set up teams of maintainers for various critical parts of the distribution, something that most packagers and our triage team had been waiting a long time for. This brought the beginning of an answer to the situation where an important contributor stopping contributing for whatever reason would hinder us for a while. People joined the teams and we now have, for example, new people working on kernel packaging, installer development and bugfixing, and ISO building. All is not perfect but it’s moving in a good direction. In early 2017, the state of the distribution looked solid and QA was almost ready to let the Stabilization Snapshot 2 ISOs be released, thus putting an end to a looooooooong wait. 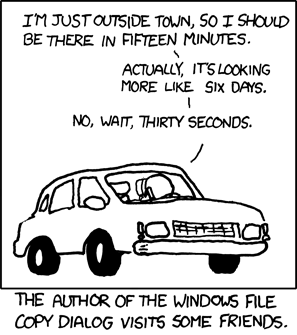 Well, that was before they found a partitioning bug in the installer that was able to break your partition table. A broken partition table sadly means a more or less broken computer, unless you’re technically savvy enough to rebuild it correctly. Most of the time the easiest solution would be to wipe the entire disk (and lose data) and start again. The potential frequency of the bug was too high for us to allow the snapshot to be released to the wider public, even with Erratas and prominent warnings. You could be forgiven for thinking that fixing just one bug would be quick but since we’re all contributing over our free time, it actually takes time to 1) identify the issues 2) write patches 3) have the patches reviewed by another developer 4) build ISO images with the patches integrated 5) test them in various situations and on various hardware 6) find a regression related to the patch 7) write a new patch, etc. It is not an agreeable situation and one of our priorities for Mageia 7 will be to work on critical paths so that we can solve problems faster without delaying the whole release process. Some of our contributors already kind of specialized in being the oil on the wheels for the rest of the teams, but we can do better (maybe with you?). The above history is incomplete, probably subjective (you can probably tell that it’s been written by someone who loves and believes in Mageia’s community), and can’t summarize everything that has been done by all the contributors in all the different teams. The author of this blog post thanks them all and is confident that most of you as readers are probably grateful to them too in spite of our lateness. The current situation is that we have a relatively good patchset to fix a number of installer issues, which have been committed to a testing branch and were successfully tested in pre-testing Live ISOs. Now we are deploying them on the full set of Live ISOs and classical installer ISOs for the QA team to test, which should hopefully be the final build for the Stabilization Snapshot 2. As soon as we reach a satisfying solution for the partitioning bug, you will be able to resume testing the future Mageia 6. Then we will work as fast as we can to fix the last release-blocker bugs and release Mageia 6 to everybody. If you love Mageia like we do and want to help us release it faster (while keeping our high quality standards), we would welcome you in one of our various teams of contributors: packaging, development, QA, ISO testing, communication (!) or any other of the diverse things we do. The contribution page is a good place to start, and you can hop on our IRC channels to discuss how you can help with other Mageia contributors. This entry was posted in community, release. Bookmark the permalink. 31 Responses to So where is Mageia 6? Great piece of explanation Samuel, and i am not telling about time. It’s just some job to achieve, when depending on peoples free time. I am sure MGA6 will be great, and meanwhile updates keep rolling in for MGA5, to have security-critical-fixes being taken care of. Thanks for this. I keep looking at the blog to find out what is happening, but posts have been few and far between. Yes it depends on countrie how much people speak english language that they need translations,here in Finland we speak so much english we don’t need translations at least most people not all of them. Thank you for bringing us up to date on the status of Mageia 6 and the planning for 7. I hope readers who can afford it will donate money if they are not able to donate their skills or time to Mageia. Great to see news coming along! I wish you all lots of courage and persistence and fun. As a Crashtester dating all the way back to Mandrake 7.2 – yes, I’ve dealt with “Good Luck!” and bad partition tables. I won’t claim either was fun, but both were manageable. But no, you don’t want either anywhere near the general public. I trust you guys, it will be awesome when it’s ready. My support is by donation and file bugs report. Another enthusiast from Mandrake 7.2 (what was RedHat thinking when they released RH 7.1? ), I’ve been mostly running cauldron on the majority of my computers, yes I ran into the “Good luck” stuff with getting radeon going but have gotten to play with amdgpu. Also skylake plays so much nicer with mesa 13.x and the 4.8+ kernel. Then again I ran MGA 5 from cauldron non-stop because MGA 4 didn’t play nice with my Kaveri processor (GPU). In any case, kudos to the team, my mom has been running MGA 5 since beta 1 and has enjoyed not having to learn anything new but has enjoyed having a smoothly working supported updated excellent OS. I plan to stick with Mageia for many years to come. One question, will Mageia 6 support AMDGPU-PRO? Perhaps this isn’t the place to ask the question. You are doing all a great job. Thanks a lot for the explanation. I am a really happy user running 40 mageia5 computers at work to make science :). “Good luck” for the next release which will be great, no doubts ! Take as much time as you need. My studio uses Mageia as our OS. It hasn’t failed us yet. Thanks for the hard work. This is fantastic, not the late release, but I finally see a company/organisation being honest about problems, the norm is to blame a third party. I should be able to contribute some in the near future(economically), not sure it’s wise of me to contribute intellectually as I’m quite mad in the head. Me, not the other guy. PS: The last bits are in no way meant as a derogatory remark or poking fun at people with mental problems. To tell the truth: I am glad with the postponement! No worries about upgrading and all that may happen when things go wrong (and the risk of my doing things wrong). I can continue to use a rock stable, pleasing and very useful Mageia 5 without all those worries. So, I don’t mind that you need more time. Pleas keep up the good work and many thanks for all you doe for us, simple end-users. These instability results from mixing KDE SC 4 with the new stack. I’ve been waiting to upgrade the Mageia 5 install on my laptop for a while & was wondering about the delays, so I wanted to thank you for making things more clear. It’s reassuring to hear some details and know that progress is being made even if it’s been slower than expected. I’m sure version 6 will be a great release when the final problems get hammered out. I’ve been looking for a blog post like this for some time. The bug report on the partitioning error looks like a horrendously complex problem to solve, so many thanks to the development team’s for your persistence. I’m stil enjoying Mageia 5, and very much looking forward to Mageia 6 and all that KDE 5 goodness. Considering some of the long-time annoying bugs which were fixed in Plasma 5.9, as well as new features, I would prefer if Mageia 6 would include all of the latest plasma and kframeworks, etc. By which I mean it would be worth waiting a bit more for the release to include this. Moreover, Plasma 5.8 is LTS while Plasma 5.9 or a future 5.10 are not, so 5.8 is the best choice for a distro that we’ll want to support for at least 18 months. We might have to update to the next LTS, e.g. Plasma 5.12 (no idea what would be the next LTS, just assuming) during Mageia 6’s lifetime, but that would be less painful to do once than having to update to a new stable branch every 3 months.